Sam is good at birthdays. 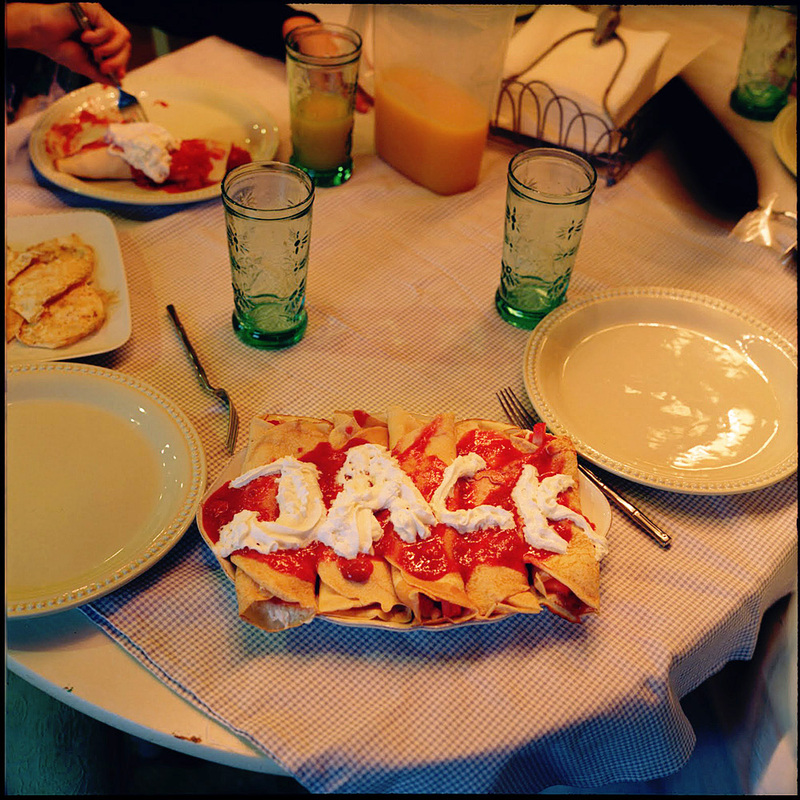 On Jack’s birthday Sam woke up early and prepared his favorite breakfast, strawberry crepes. To make it even better she wrote his name with whipped cream. He was so happy. He’s a lucky boy and she is an awesome woman. Technically this image is interesting: It is lit from two light sources and two color temperatures. The first, primary light is coming from above the table. It is a long, thin “chandeleir” of tungsten lights. They are orange, basically. The second light source is coming in from the early morning skylight (light from the sky, not the sun) it is very blue, purple. You can see it in the shadows on the table cloth and under the plate. It was done with my Rolleiflex fx and portra 800 film. Looks delicious. Way to go Sam!